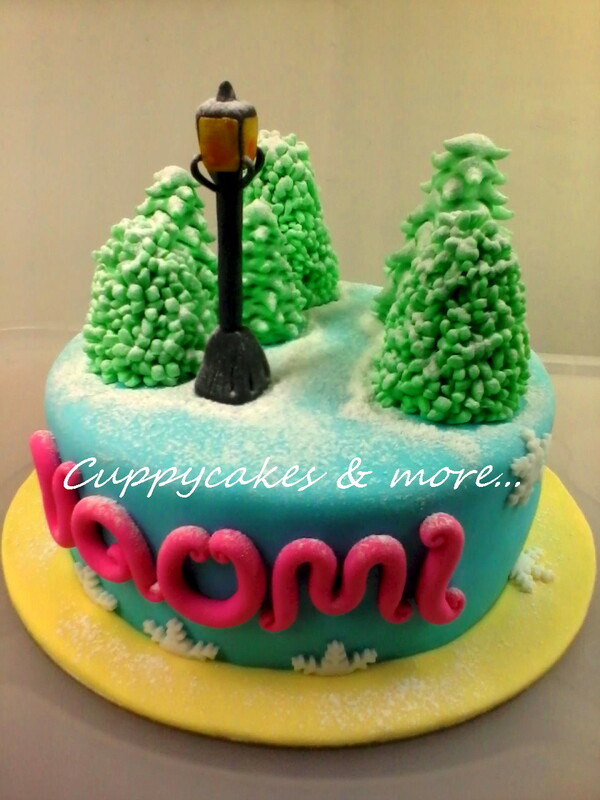 Cuppycakes & more...: Narnia : the Trees, the Snow and the Lamp post. 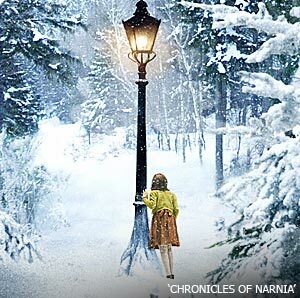 Narnia : the Trees, the Snow and the Lamp post. I have'nt really watched the movie Narnia. The thing is, I never really watched it from the beginning till the end. I remember catching it when it was about to start then I got busy with mundane chores. Then there was this one time but it was halfway thru the movie and never got to understand. 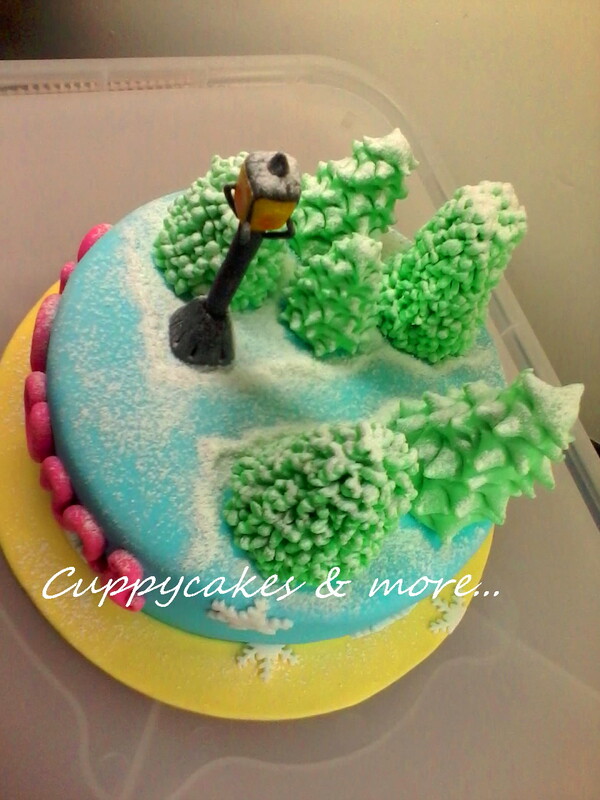 So when I was commissioned to do a Narnia theme cake, I was quite hesitant. Of course I searched the net for similar theme cakes and found quite a few. Good thing, I was saved from the task of conceptualizing as the design idea was provided. Trees, snow, and a lamp post. How easy could that be?=) Wrong. Hey, I'm a novice baker. Research # 1 : the Tree. Thank God for Google. Found Judy's Cakes blog. Head on over to her blog and you'll be amazed at the many tutorial on trees she has. You'll definitely find one that fits your need.=) Awesome! Tree # 2 and Tree # 10 works for me. Thank you Judy. Research # 2 : the Lamp post. I did'nt find any tutorial. All I have is the picture the client sent me. My husband, Ian, offered ( after much prodding from me...haha ) to make the lamp post. Research # 3 : Snow effect. The easiest part. Supposed to be. Go easy on me, I'm just a greenhorn lacking the experience professional bakers have. A simple lamp post but a great marker between an ordinary world to a world more enchanting. Had I not been pressed for time, I could have tried my hand at making the little girl - Lucy. I'm happy I was able to deliver. And I was most glad that they LOVE it.